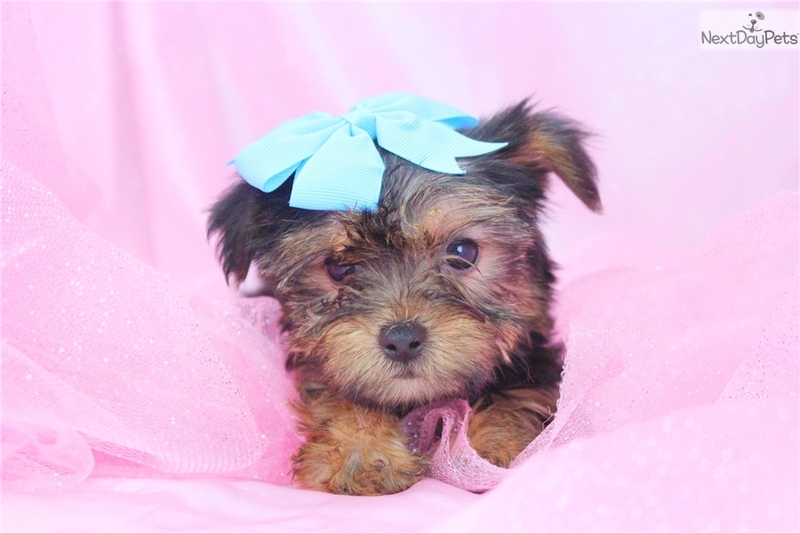 Look at me, a beautiful Teacup Yorkie baby girl! My name is Cupcake. I'm just waiting for that perfect, loving family to call my own. I am the perfect romp-around friend. I will surely keep you on your toes with my playful nature. 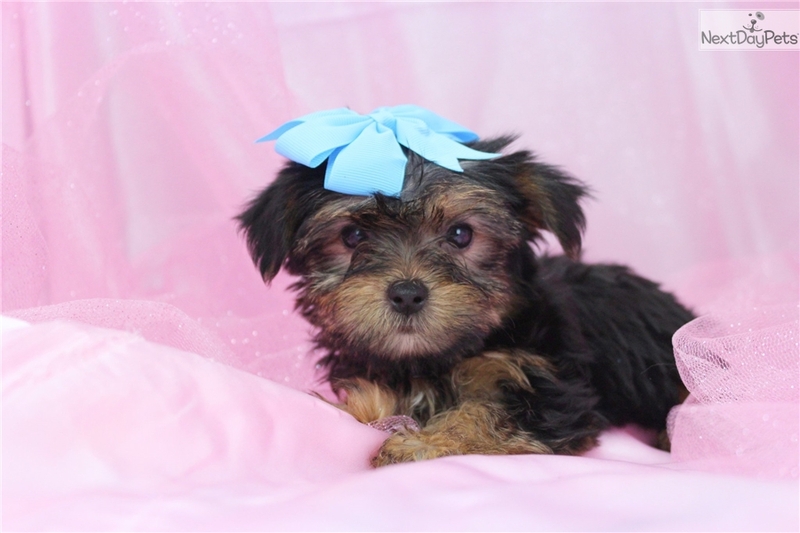 I am super tiny, and will be around 4-5 pounds matured. I am just waiting for you to make me yours. 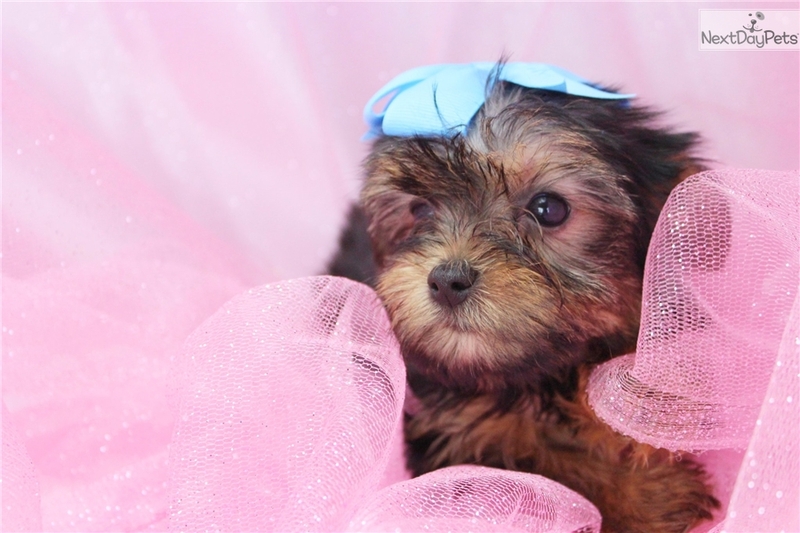 Have comfort knowing you will be dealing directly with my Family Breeders, who are licensed and inspected. I am current with my puppy vaccinations and worming’s. I come with a 10 Year Health Guarantee (ask about my daily vitamin program which keeps me happy and healthy) and I also come Vet Checked and Microchipped. I am ACA registered and come with a Puppy Starter Kit: puppy bed, blanket, toy, collar, leash, food/water bowl and sample food. I am pre-spoiled and I love people and children. I promise to make a wonderful addition to your family! Ask about our $200 deposit, my date of birth is 7/14/17, my price is $1695. Contact us today 336-403-4584, or email info@happytailpups.com!